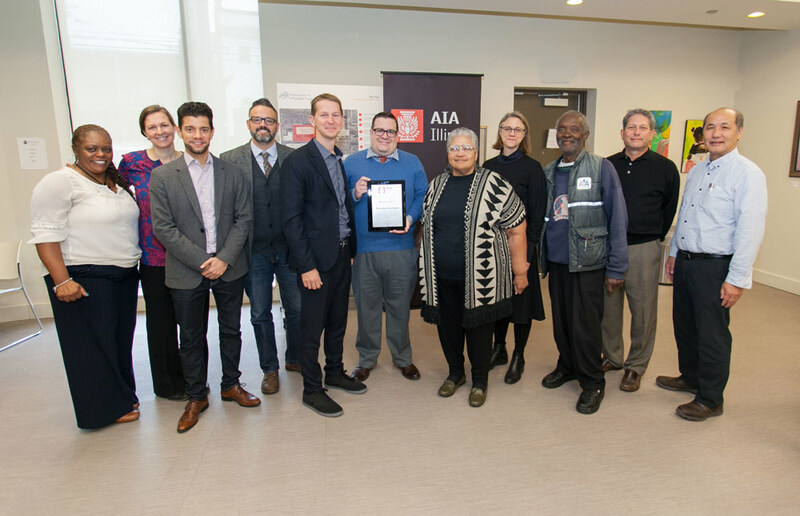 On October 27th AIA Illinois honored Woodlawn Park with the Daniel Burnham Award for planning, which recognizes projects for their contribution to the enhancement of a community. 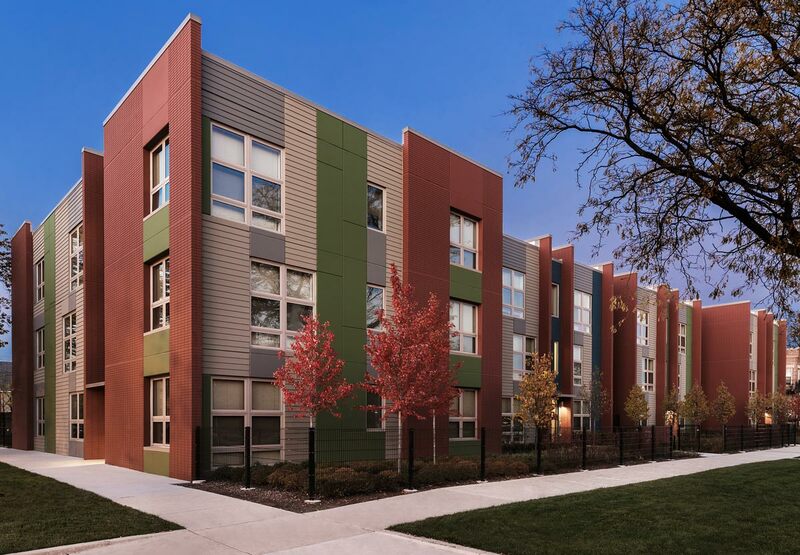 Woodlawn Park is a community-initiated development of affordable, market-rate, and senior housing centered around reengaging its historic connection to the neighborhood of Woodlawn, the University of Chicago, Washington Park, and the CTA green line. 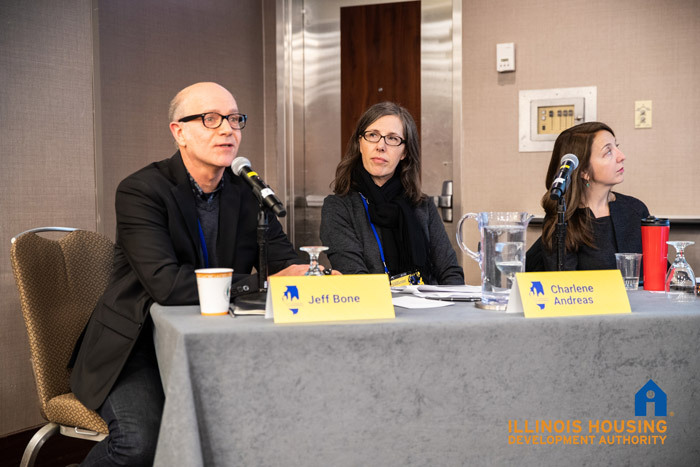 The project was designed with pedestrian friendly streetscapes and sustainable features in hopes of maintaining identity and stability in a neighborhood at risk of gentrification. 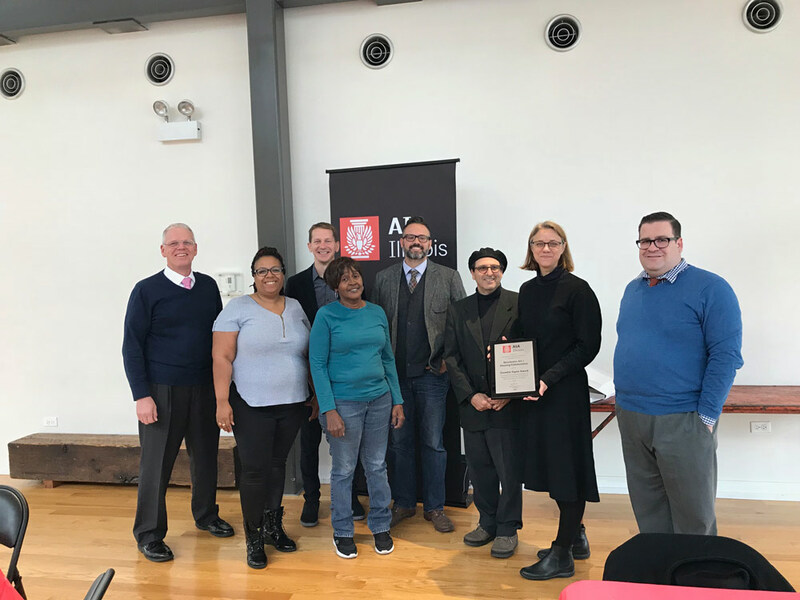 Dorchester Art + Housing Collaborative (DA+HC) was also honored by AIA Illinois October 27th with the Crombie Taylor Award for preservation and restoration. DA+HC is the redevelopment of the abandoned Dante Harper homes to provide 32 fully rehabbed mixed income townhouses and a brand-new art center. The art center was built from four former townhouses central to the site to provide a welcoming space for displaying art, work and tech shops, public meetings, a dance studio, and performances.